Our proposal looks to find a simple, aesthetically pleasing and efficient intervention. We believe that the objects displayed in this shop, thoughtfully designed and carefully handcrafted, need to be looked at and enjoyed with attention and care. For this, we proposed a playful and flexible background that changes its shape in response to the object on display. This blue "matter" transforms to emphasize. 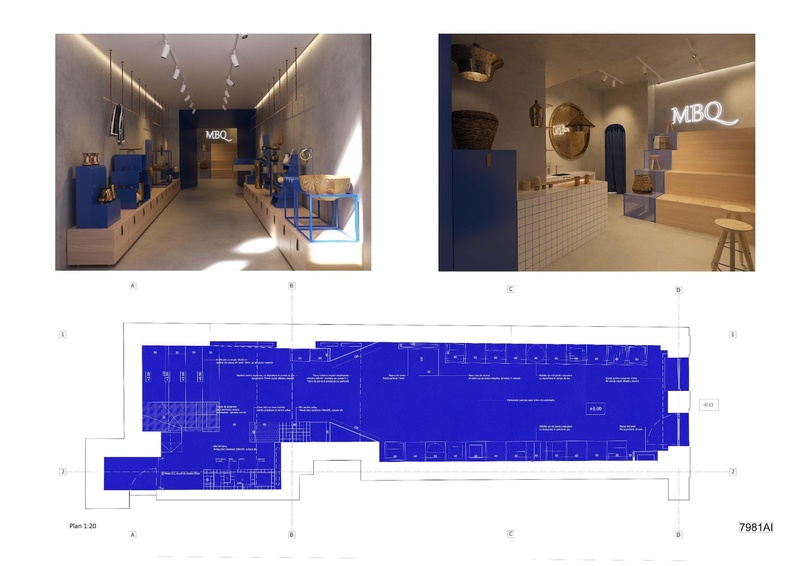 We chose electric blue or Klein blue, to contrast with the wood and brass, but also to draw and spike attention. The display furniture is mounted ontop a simple wood box on wheels for storage. Flexibility is gained with the modular division, being easy to move through the shop and rearenge to suit different events. Beyond the blue portal, one can find a different space. The space for gathering is an open place. The wooden amphitheater can host a diverse range of events, mainly creative meetings. 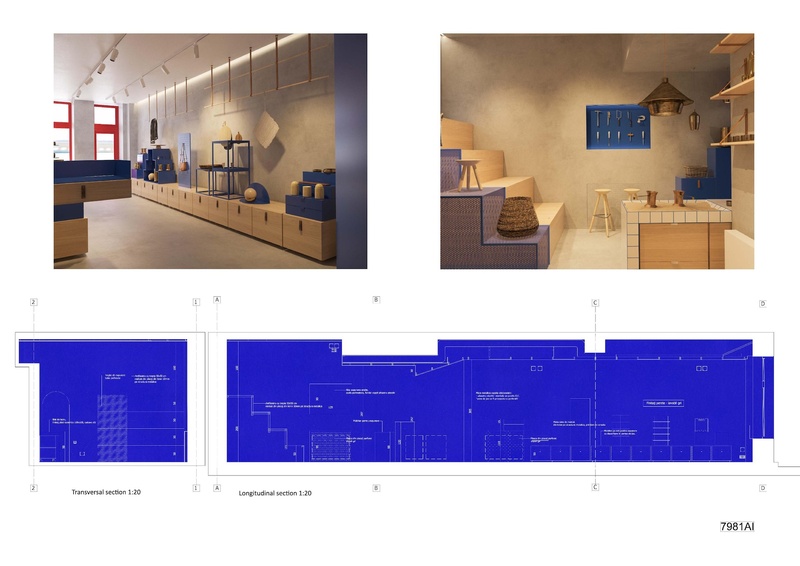 At the same time, small details remind you of the shop's profile and story, coffee served and prepared on a bed of sand, in opposition with a display case of special tools used in the process of making the objects on display.